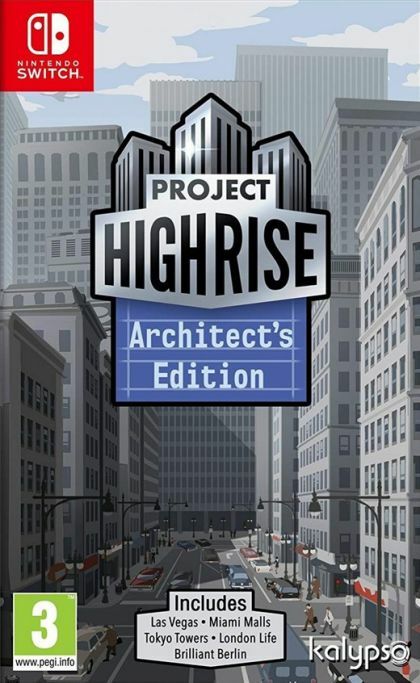 As well as bringing all the content from the original Project Highrise base game, the Architect's Edition also packs in the Las Vegas DLC as well as the content packs Miami Malls, Tokyo Towers, London Life and the brand new Brilliant Berlin in one definitive console edition. Your job as architect and developer is to build world-famous skyscrapers that will be the envy of the entire city, masterpieces of art and engineering. But a skyscraper is more than just steel and glass  it's an intricate ecosystem, full of people that live and work in the building. They become a complex machine that needs your steady hand to keep it running smoothly and efficiently.